A full-size bedroom in the Heritage House, furnished with beautiful family antiques; possible shared bath with Rose Room. 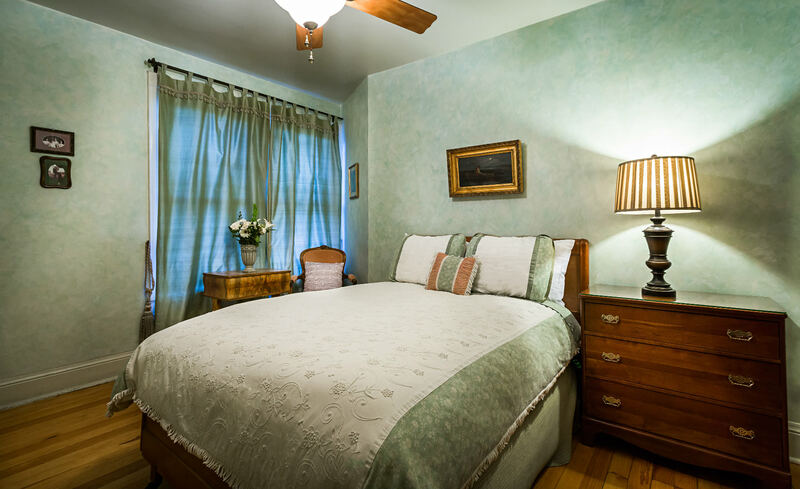 The Pansy Room features a full-size bed, TV, and classic vintage decor. 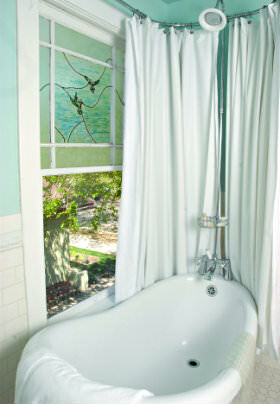 The shared bath across the hall includes a unique high-backed claw-foot tub with a shower option. 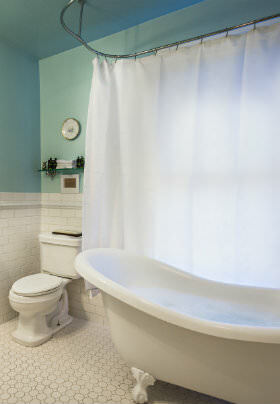 This room is styled in a soothing shade of blue with beautiful silk window draperies.